This entry was posted in Guides, Web Design, Web Development and tagged CSS, CSS3, guide on May 24, 2014 by Chris Owens. Definitely worth checking out if you’ve got time, even more so if you’ve come over from Rails! Just another small directive. 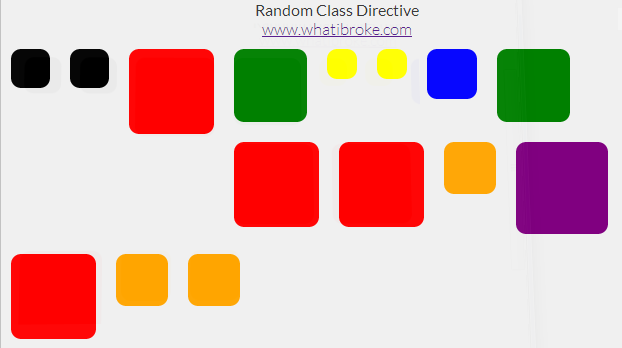 This one adds a random class from the provided array to the element. A random class will then be selected from the list and appended to the elements current list of classes (if any). Let me know if you run into any issues and feel free to use/change however you want. I’ve been mucking around with directives for that last few days and one of my requirements has been a simple timepicker. Nothing too fancy, but if anyone would like to use it – feel free. The hours and minutes will then be updated whenever the user changes the value. If you need any other hooks it’s fairly easy to modify and there are a heap of comments.